In today’s post, I want to draw your attention to this year’s must-try fashion trend called patchwork. I am so glad this trend is taking over modern fashion. 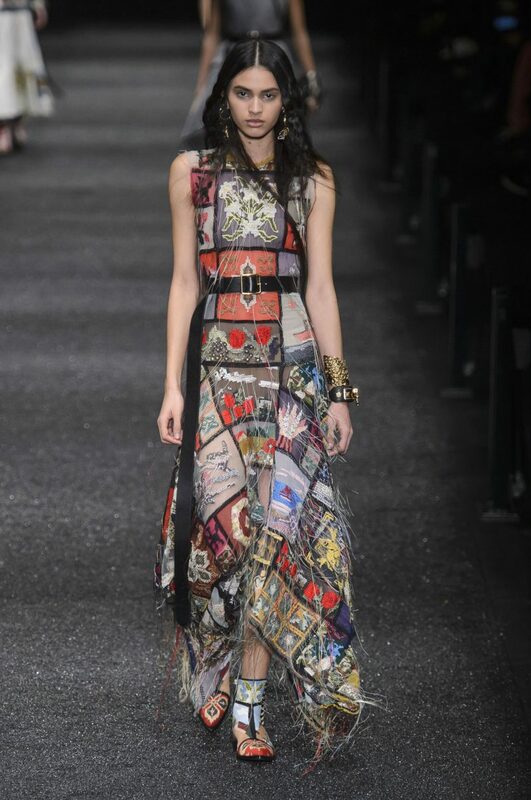 Believe it or not, but most stylists were skeptical regarding patchwork. Today, it is taken over the streets fashion. Personally, I never thought this trend will spread the fashion world so fast. It looks awesome on everything, starting with our beloved denim patchwork of accessories. 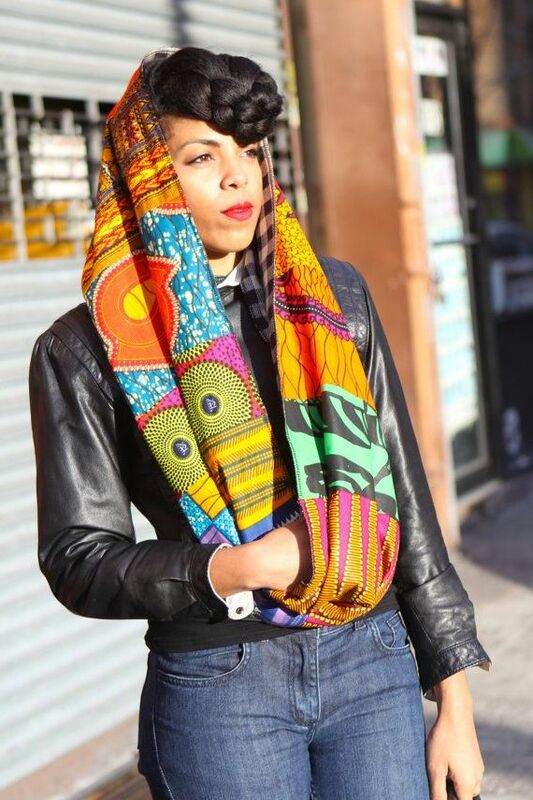 We see so many fashion icons and trendsetters appear on the streets wearing outfits completed with patchwork. 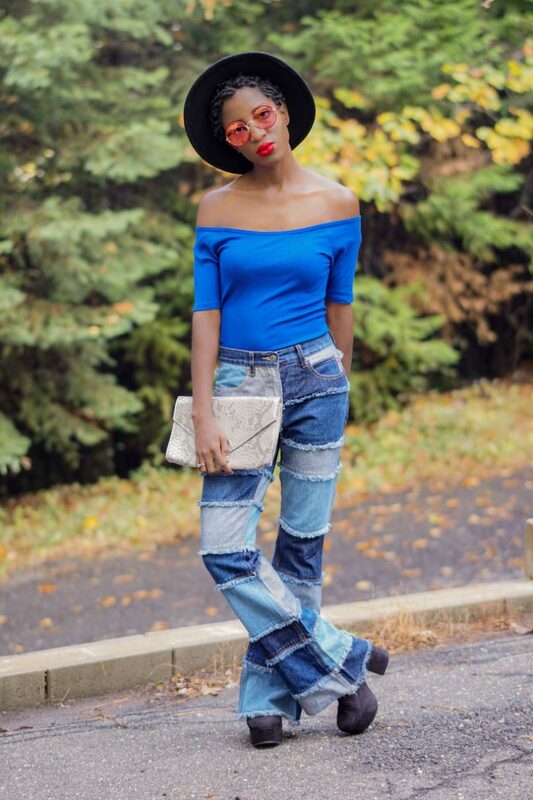 Anyway, I am here to share with you my favorite street style images of ladies who appear in this stunning trend. Keep on reading to find out more. If you are a beginner to this trend, then you better start from patchwork accessories. You can try on beautiful shoulder bags embellished with patchwork, or keep things cool by wearing a stylish wrap scarf in an abstract patchwork print. 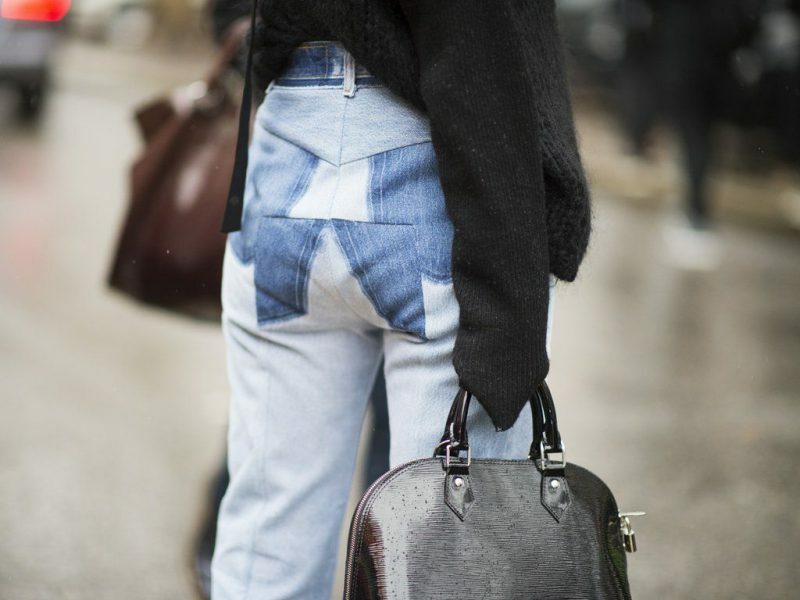 How about wearing patchwork denim. 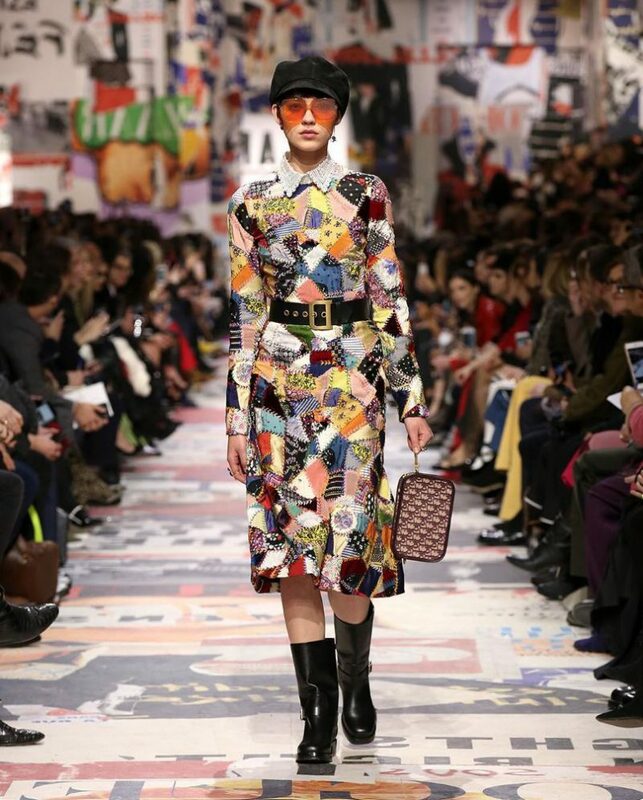 It was popular back in the 1970’s, that’s why we see so many patchwork embellished looks inspired by this decade. Denim is a perfect choice to wear this year. If you are a beginner to this trend, then I highly recommend starting from denim patchwork. Try on slim-fit jeans embellished with different color patches all over the legs, or you can try on patchwork high-rise A-line mini skirt. 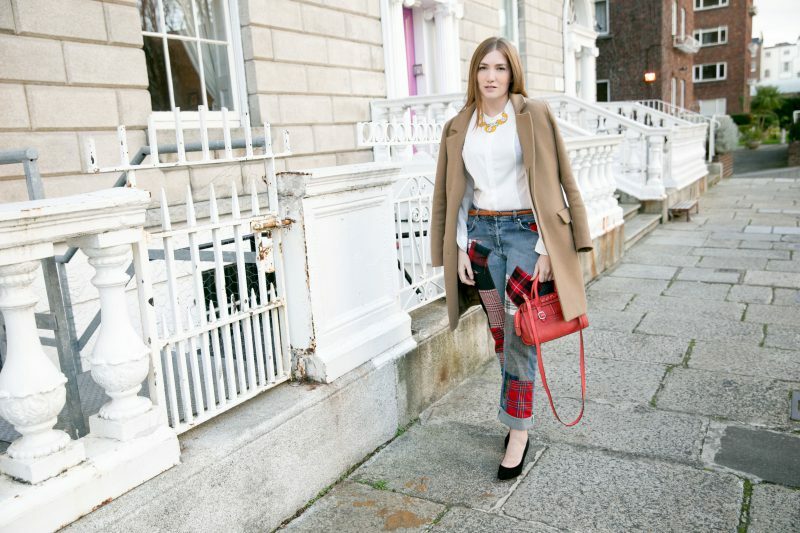 You can either create a sporty casual or smart-casual look. The result can be cozy, comfy and sweet. I am so in love with that street style look where lady appears in a relaxed white shirt tucked in high-waist mini patchwork denim skirt completed with the white lace-up slip-on shoes. 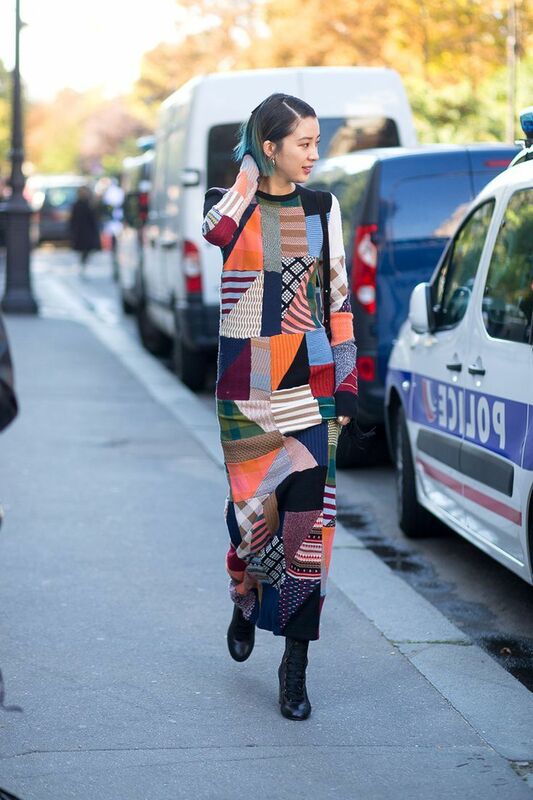 If you want to make everyone see that you are wearing this trend, then I advise you to wear colorful patchwork. This is another 1970’s inspired look that is bright, chic and extremely modish. If you are in love with vibrancy, then you are more than welcome to experiment with colors craziness. For instance, you can pair brightly colored patchwork bottoms (trousers or midi skirt) with a solid neutral color top. 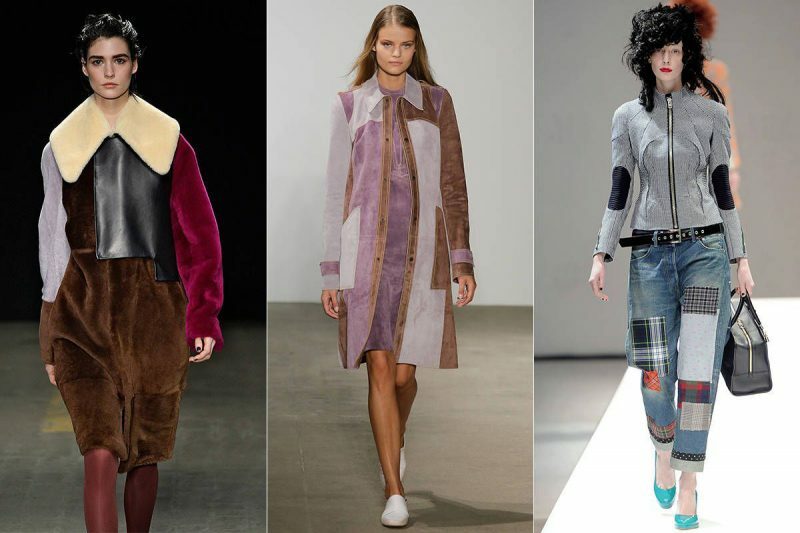 If you are brave enough to wear head-to-toe patchwork trend, then you are welcome to try it. Personally, I think it’s too extreme, but I see lots of ladies who appear on the streets wearing patchwork dresses and jumpsuits. The result looks sophisticated and extremely voguish. If you want to try it, then I recommend keeping your accessories to the minimum. 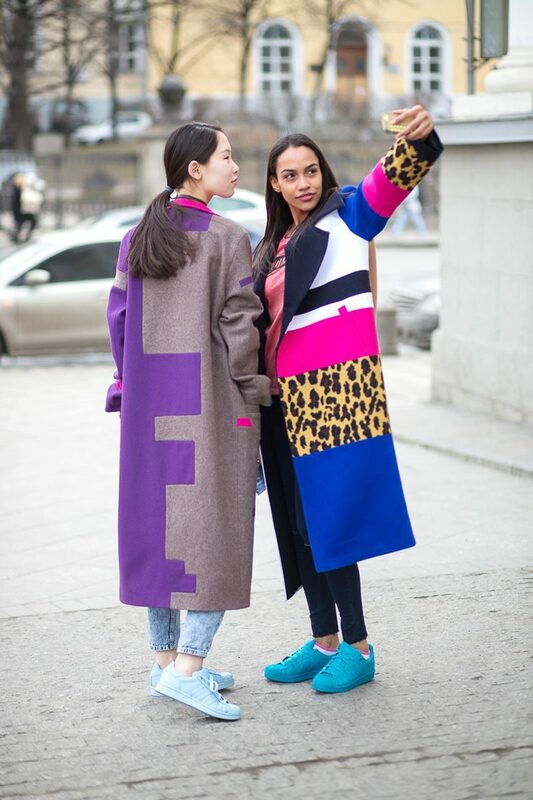 If you think patchwork trend is too much for you, then you can always opt for a piece that has a set pattern (squares, diagonal strips) to it, that is a perfect reminiscent to patchwork.